As a non-governmental (NGO) and non-profit organization, Cybersecurity Foundation’s purpose is to promote cyber security and network security improvement. These objectives are achieved through three main areas; raise awareness about the dangers related to ICT, response to security incidents in cyberspace, and conduct research development activities in IT security. The Cybersecurity Foundation is involved in many IT security related initiatives, conferences, seminars and projects. Creates and co-creates reports and analyses devoted to the IT security topics and critical infrastructure protection, as well as many training materials. The Foundation contributes to the creation and editing of the periodical “CIIP focus” published by the Government Security Centre. 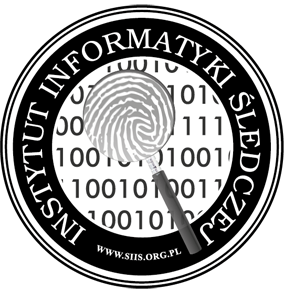 In 2012 the Foundation initiated, co-organised and co-ordinated, Poland’s first exercise of protection in cyberspace: Cyber​​-EXE Poland 2012, which was then continued in following years. The Foundation is a member of a consortium of European CERTs which organises the CERT cooperation in the framework of the Trusted Introducer, which is part of the TERENA TF-CSIRT project. The Foundation also works closely with the European Network and Information Security Agency (ENISA), the Association of CEENet (Central and Eastern European Network Association) and is a member of APWG (Anti-Phishing Working Group) and the Polish response and security teams forum – Abuse-Forum. Computer Forensics Institute Association is a non-profit organization that unites people interested in computer forensic, law, new technologies, information security and IT incident response. The main objective of the Computer Forensics Institute Association is to share knowledge about the best practices for perpetuation, analysis, presentation of electronic evidence, and it’s potential use in court proceedings or internal investigations. This goal is beeing achived through conferences, trainings and publications, that are conducted by the best Polish and foreign specialists.